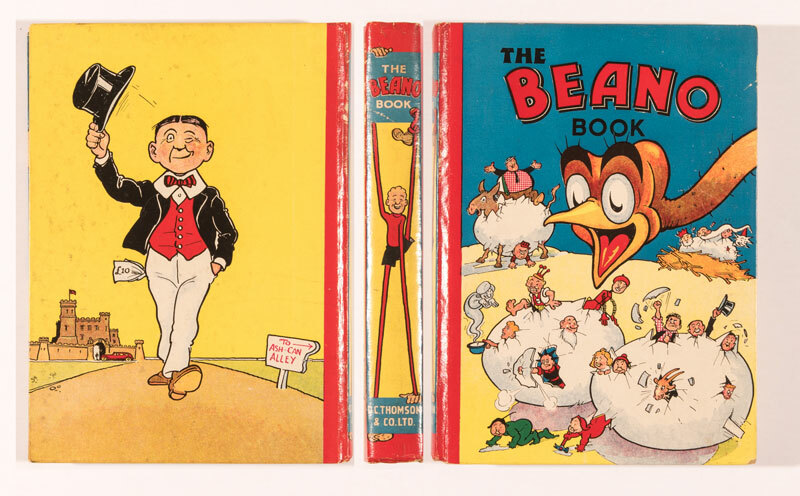 Beano Book 1 (1940) £3650 - Beano Book 2 (1941) - £5500! 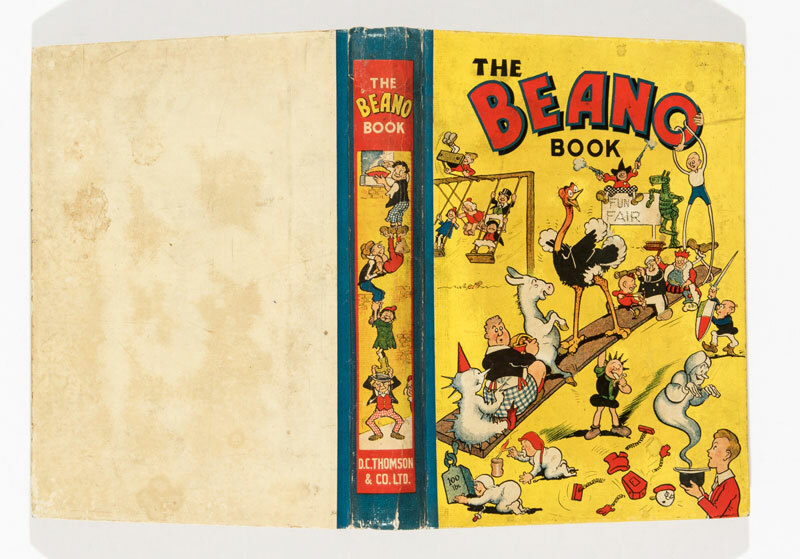 The third Beano Book was also a record breaker leaving the under-bidders, as well as Big Eggo, in a spin with £3050. 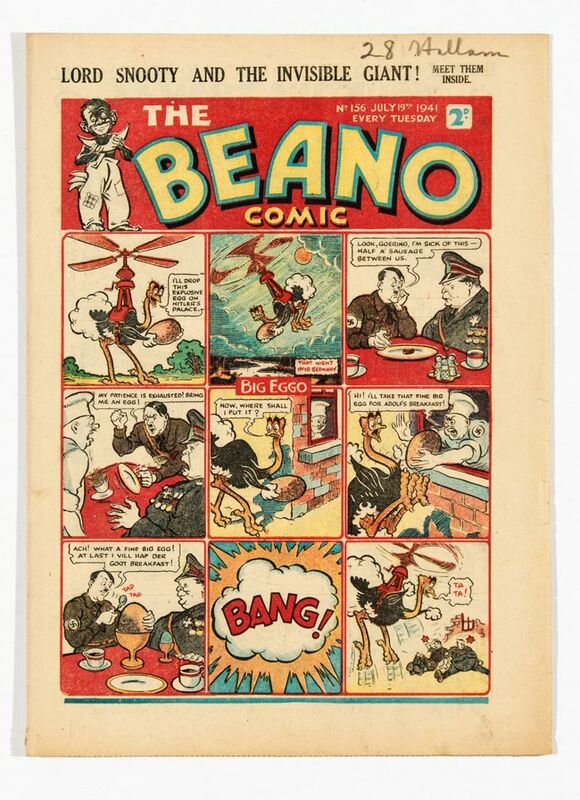 One of our single issue Beanos, No 156, had Hitler and Goering having a surprise breakfast with Big Eggo. £390 full English. 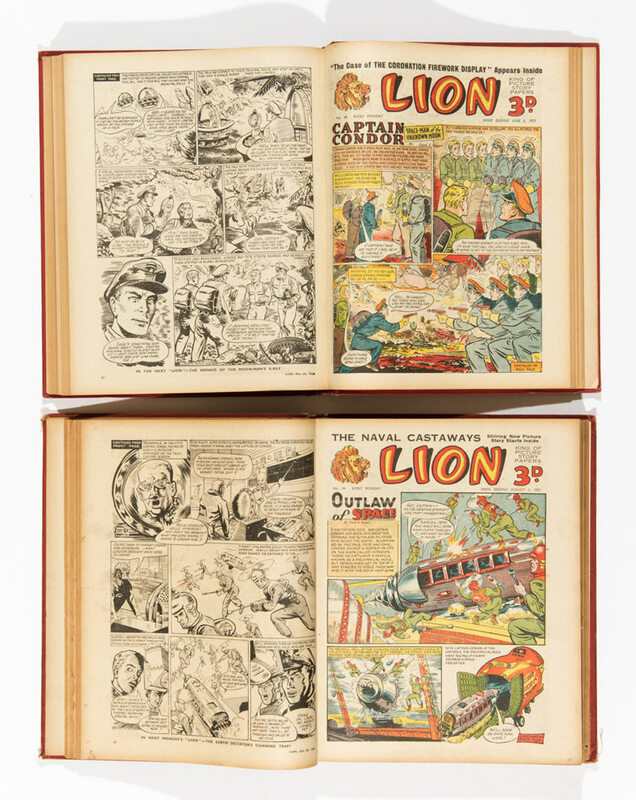 A huge winning bid of £720 secured the Lion’s pride with a bound volume featuring issues 20-71. 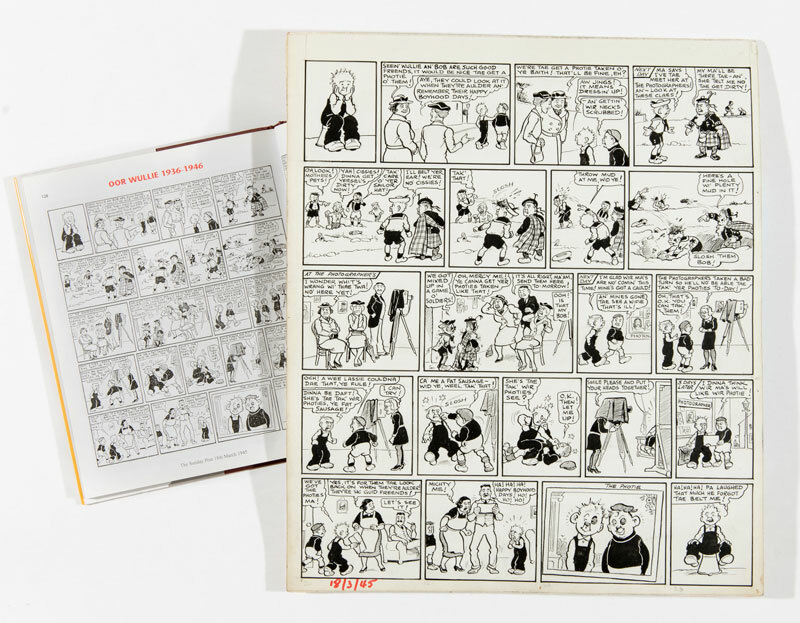 Here was an rare misprint copy of Desperate Dan’s No 1 annual where the yellow colour was absent from the print run making the reds look pink. 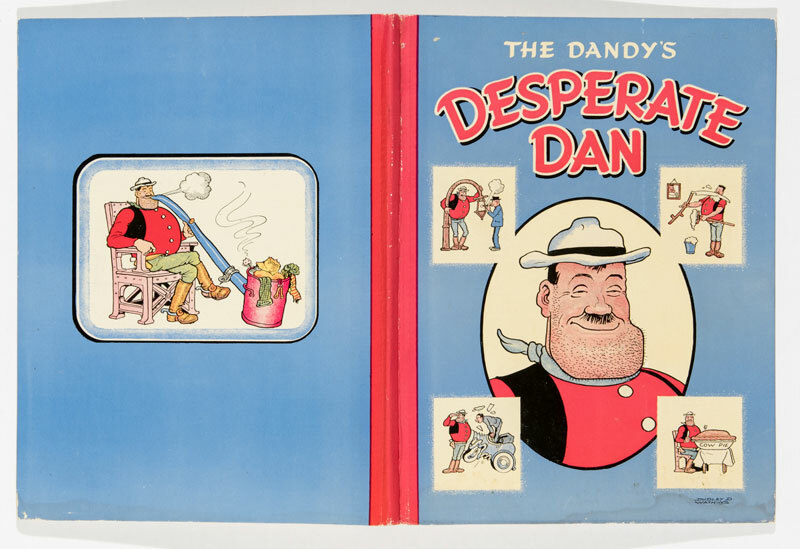 Desperate Dan in a pink shirt…I don’t think so. £250 spared his blushes. 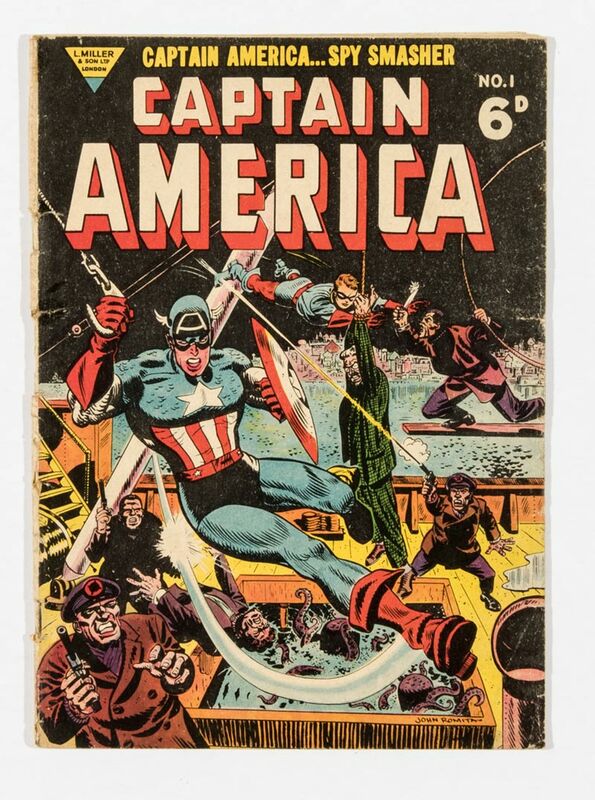 The L Miller UK reprint of Captain America reprinted the original US Cap America #77 cover as its No 1. 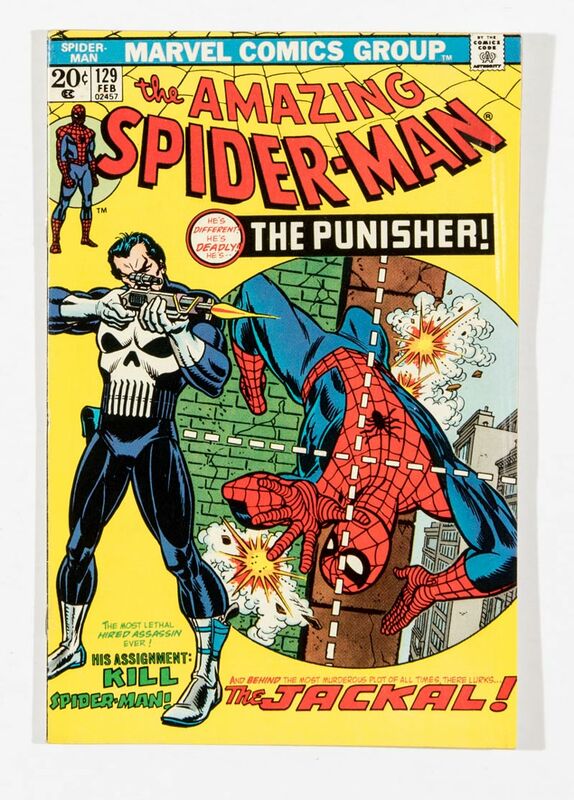 Only a handful of copies have ever come to light and this one in lowish grade made £300. 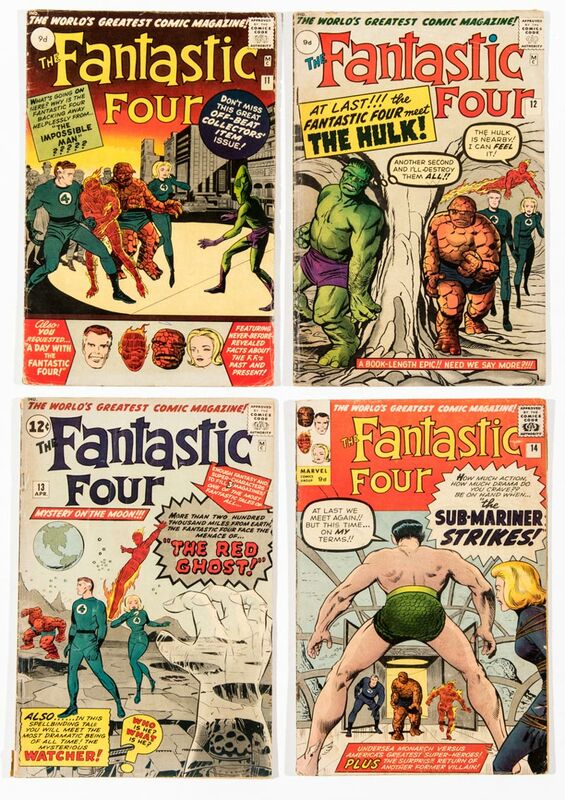 Plenty of bang for your Bucky. 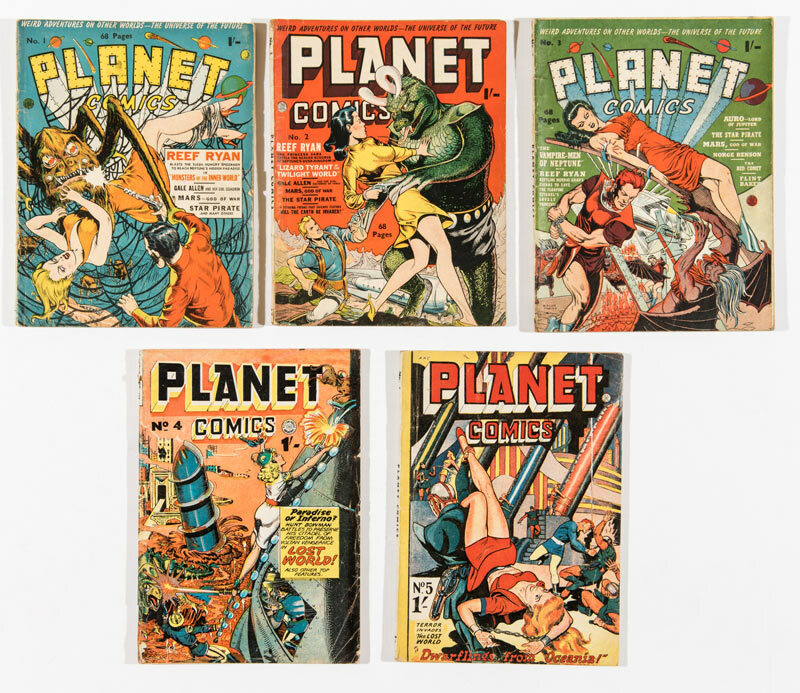 The full five issue run of Planet comics UK reprints was snapped up by a knowledgable US buyer for £180. 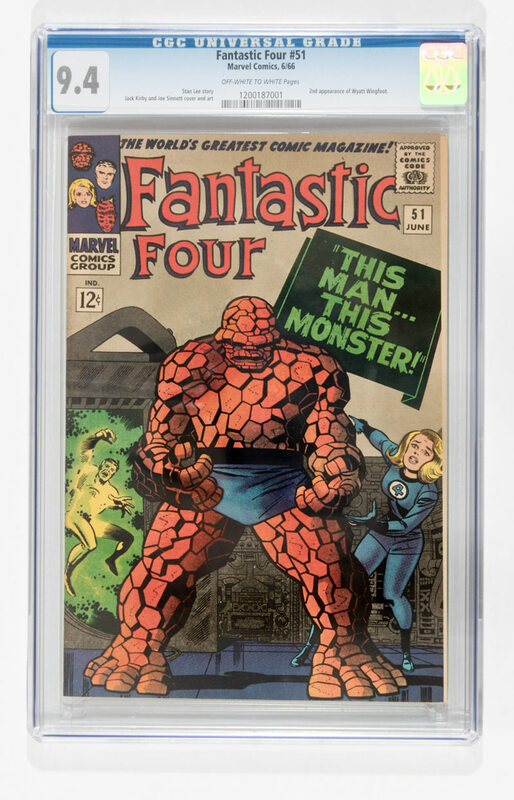 He is one of a growing band of American collectors who understand the rarity of these reprints which remain significantly cheaper than their original US counterparts. 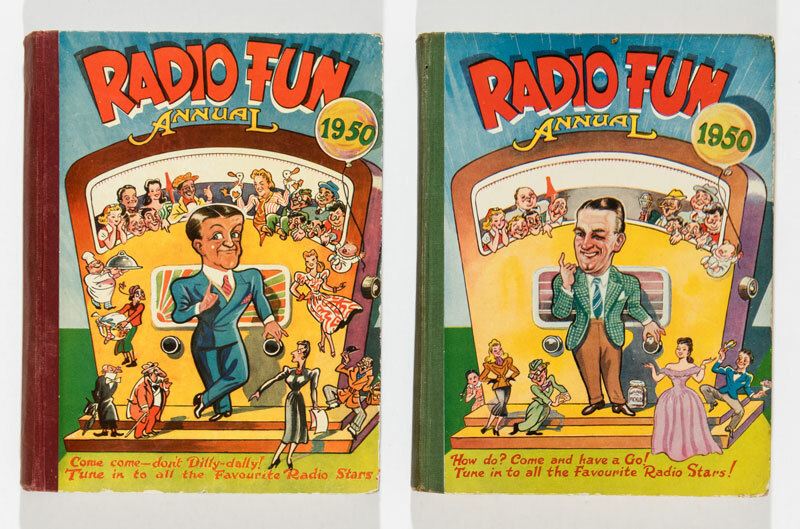 The original Radio Fun annual for 1950 showed ITMA’s Tommy Handley on the front cover but his untimely death in 1949 caused the annual to be withdrawn and redesigned with Wilfred Pickles in his place. 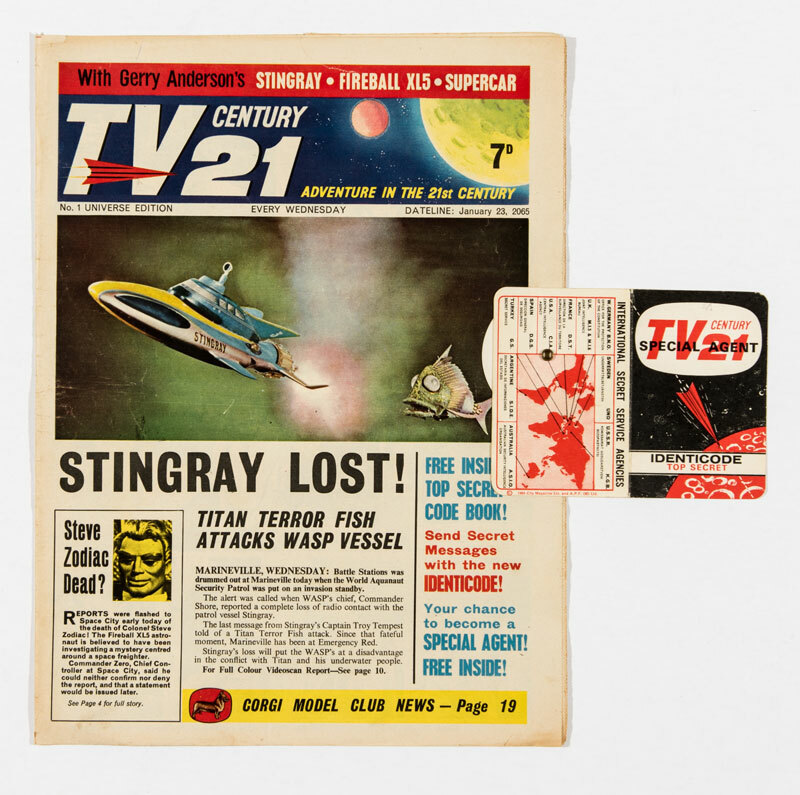 According to our research some Tommy Handley copies were sent out to Commonwealth countries before withdrawal. 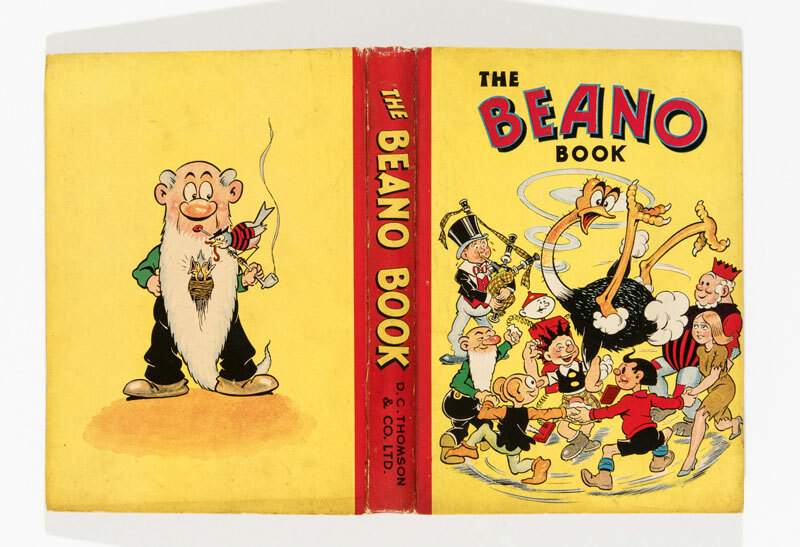 This is borne out by the copy offered here which did not have the ‘7/6’ UK price on the fly page but it did have a small sticker on the inside cover ‘Frank Every’s Book shop Bendigo’, Bendigo being in Victoria, Australia. 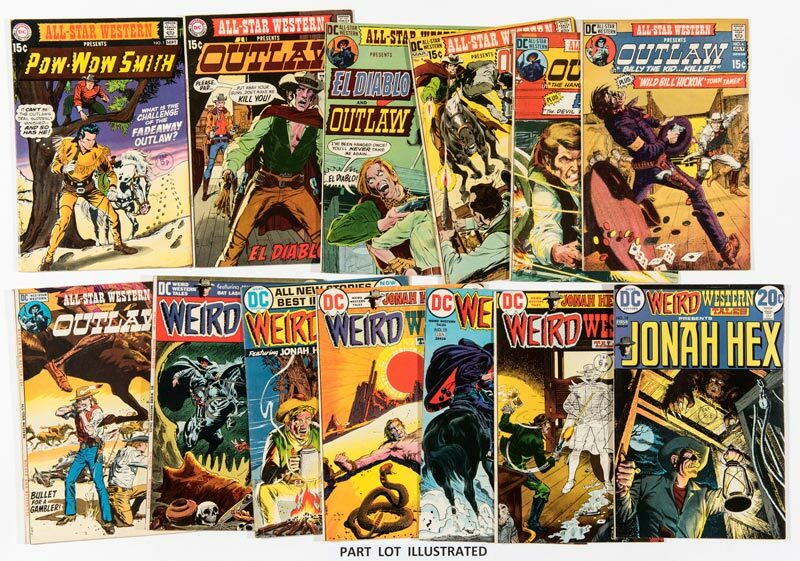 £220 was an absolute bargain buy and our canny Geordie collector knew that. 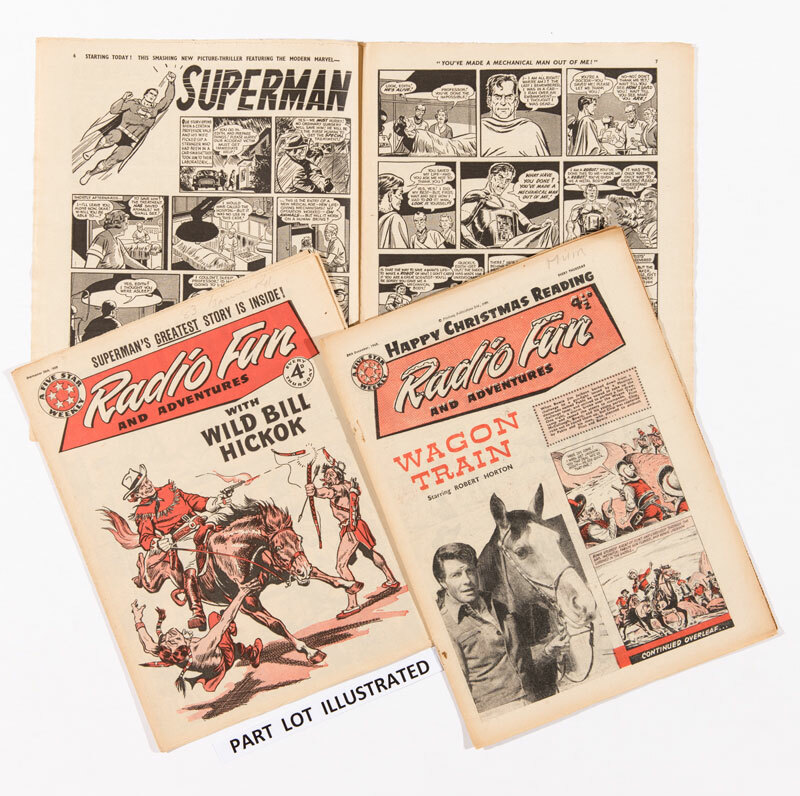 Radio Fun reprinted the US Superman adventures in double page spreads during 1959-60 and 40 fresh issues sold here for £340. 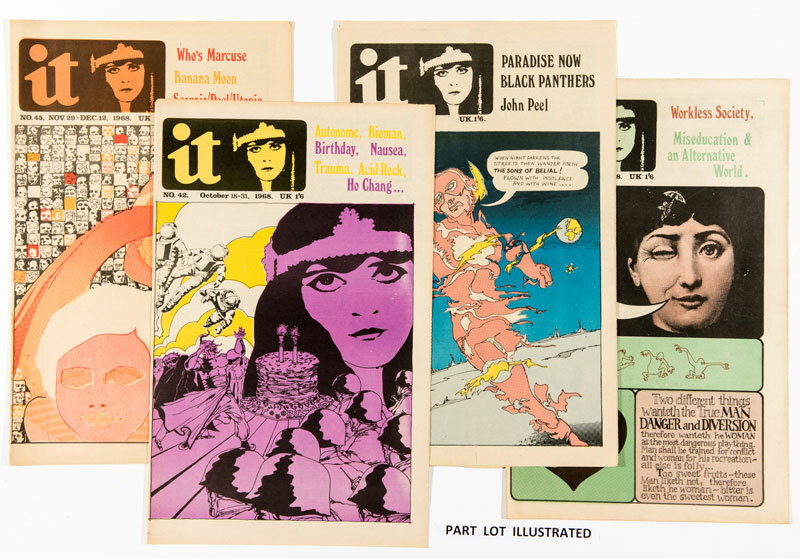 During 1968-69 the politically subversive International Times reported on the Stones in Hyde Park, John Lennon’s letters, the To Yoko art exhibition, Wonder Woman’s alternative comic strip ‘What turns the Mighty Maiden on?’, Acid Rock, T-Rex, Pretty Things and not so pretty things. 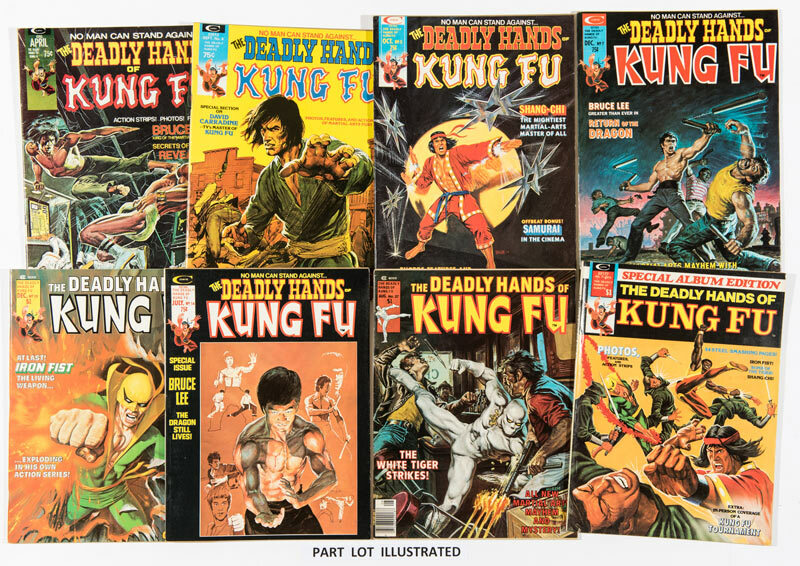 IT copies are difficult to find and unfolded fresh examples even more so. 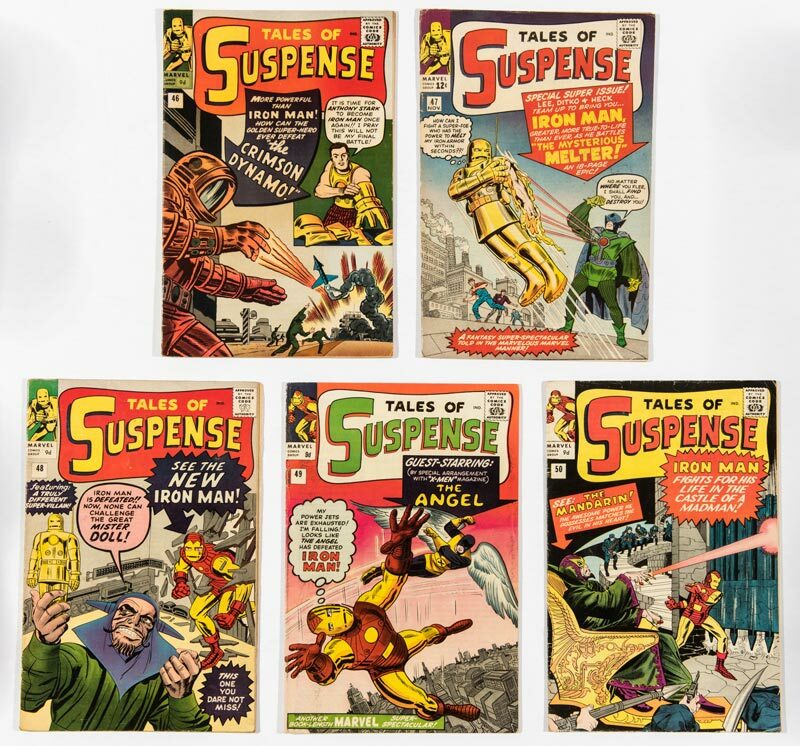 22 pieces sold for £20 each and the Miller told his tale. 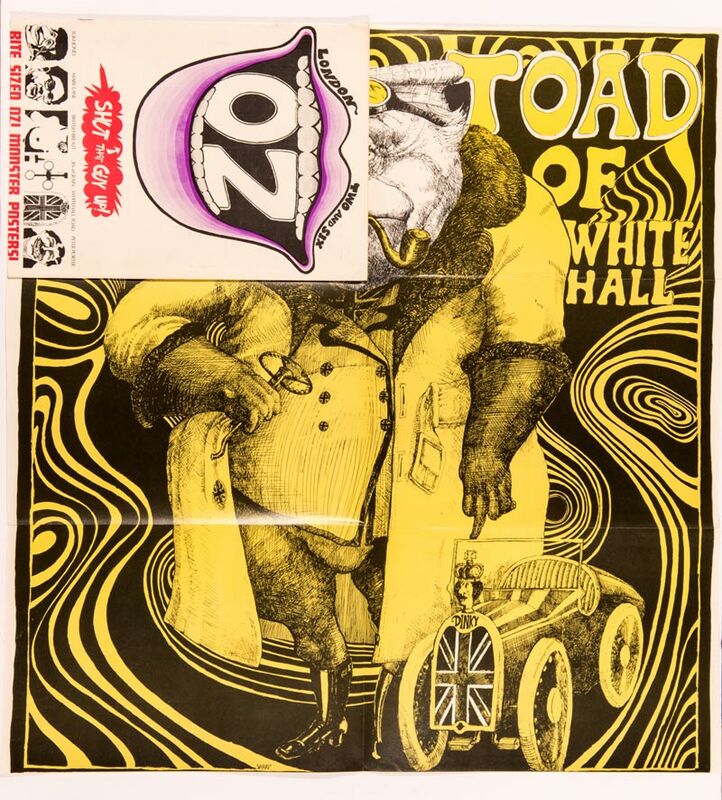 OZ magazine worshipped at the same alternative altar and No 2 had articles on the BBC cover-up of the Warren Commission/Kennedy assassination, irreverent reference to Harold Wilson as Playmate of the Month and a Germaine Greer article Analysing British Breasts. This was followed by a (free entry) competition to find the best. A bra-burning £310 triumphed. 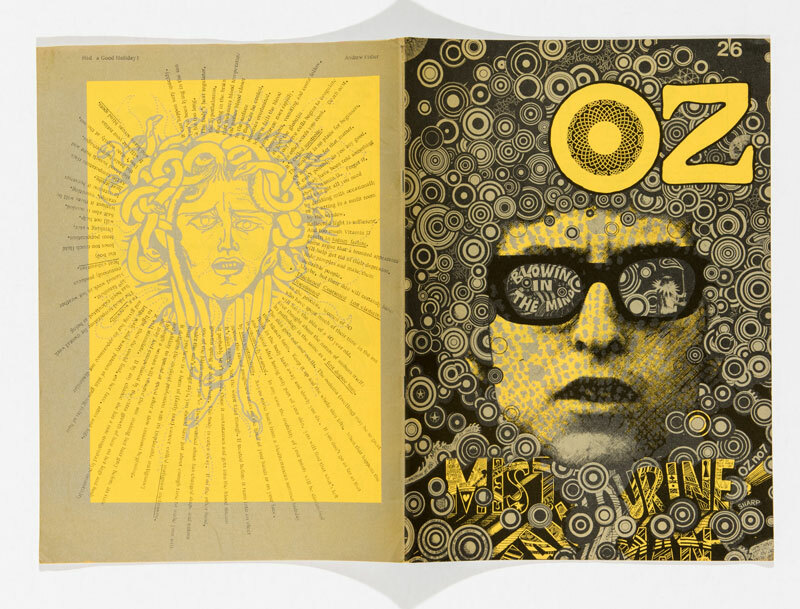 OZ magazine 7 had a Bob Dylan cover by Oz founding artist Martin Sharp and £135 took from you everything he could steal. 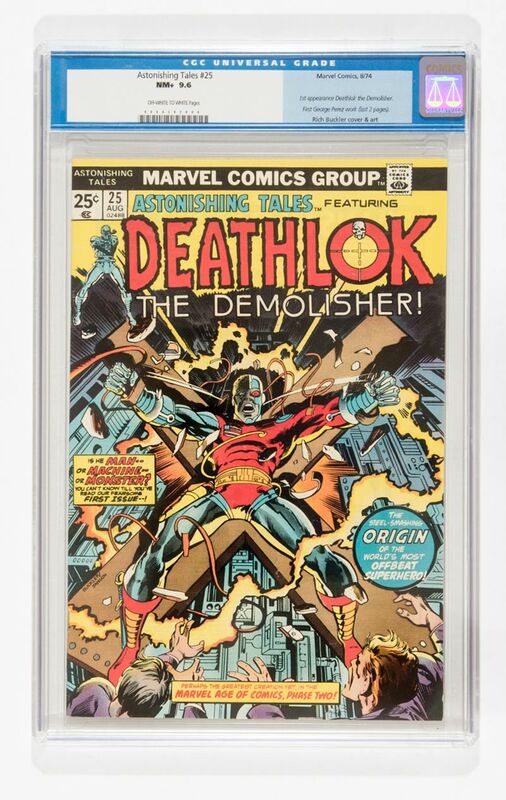 Astonishing Tales 25 CGC 9.6 sold for £155, about half its Overstreet Guide price. 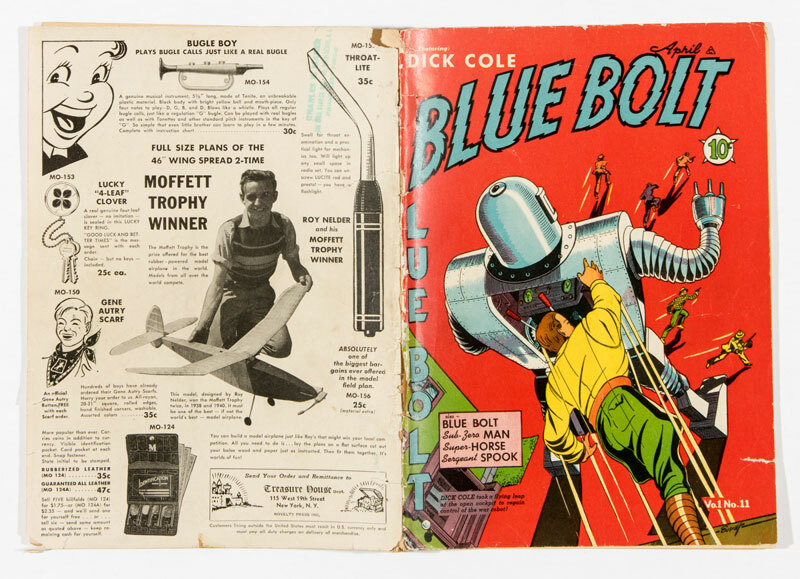 We end our Market Report with lot 154, a low grade copy of Blue Bolt 11 which sold for £11.00 and you may rightly think ‘so what’. 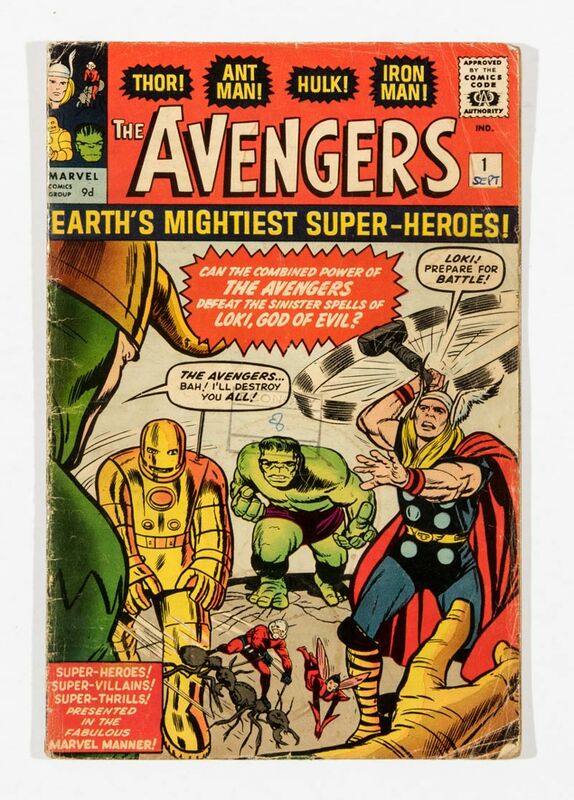 It was sold in the auction to one of our customers from Germany with whom we have been dealing for several years. 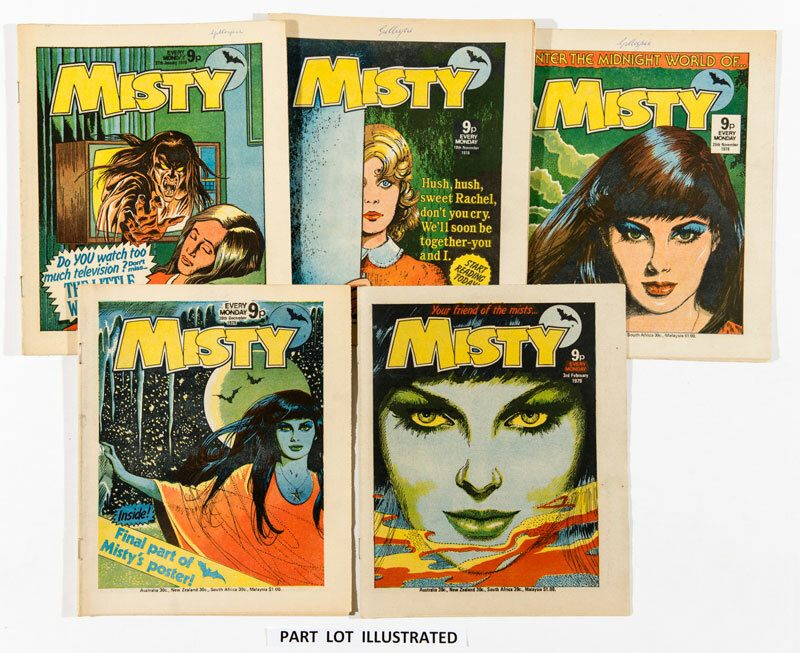 The under bidder for the lot was a new customer to us and he emailed us after the auction that he had needed this particular issue to complete his Blue Bolt run of the first 12 issues. He further explained that his computer went down on Sunday, the final day of bidding and that he had been prepared to offer £30 to secure this long desired issue and was desperately disappointed to have missed it. I decided to contact our friend in Germany and told him the story of this unfortunate whilst suggesting that an immediate profit of £20 might persuade him to consider a resale. 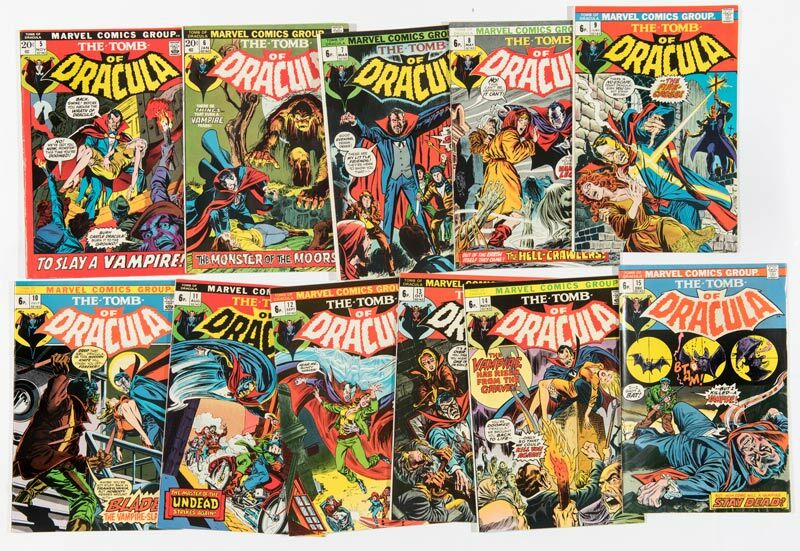 To his enormous credit, Rudi dismissed the extra money out of hand and asked us to give the comic to our Blue Bolt collector for £11, the original price. This we did to his complete amazement and unalloyed gratitude. This is one of the many reasons I love our business and I offer this small tale to put a smile on the faces of all our lovely friends worldwide with whom we have had the pleasure of dealing with for over 23 years.